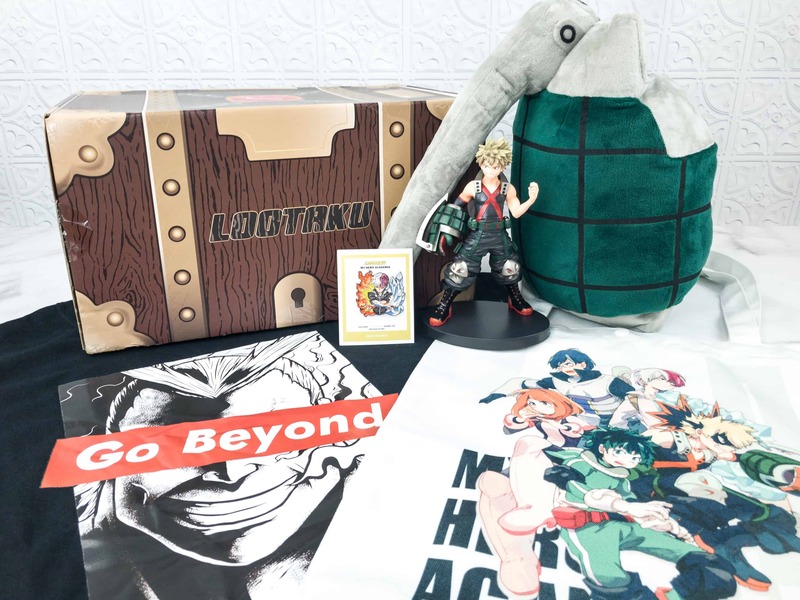 Lootaku is a monthly anime geek subscription. Here’s the review of the March 2019 box + coupon! The theme is OF GODS AND DEMONS – Dragon Ball! 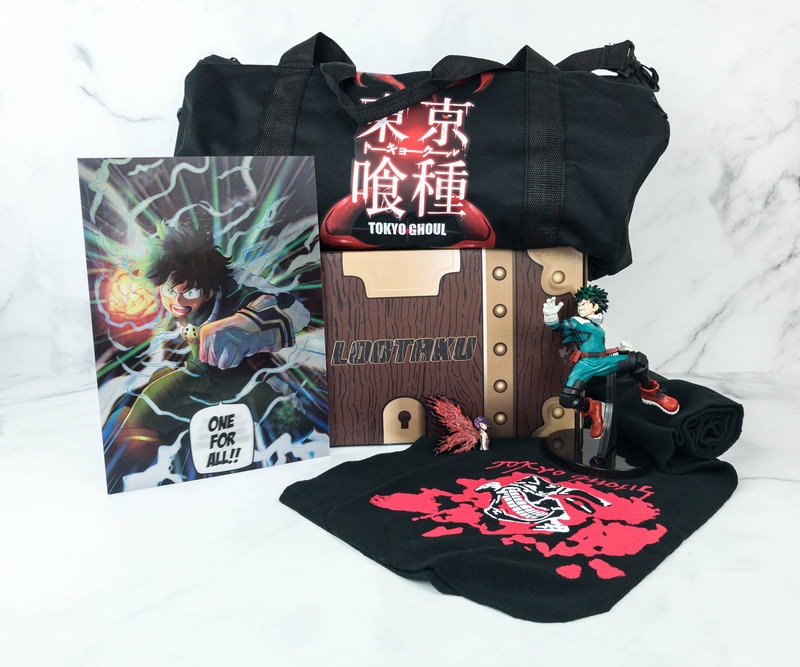 Lootaku is a monthly anime geek subscription. 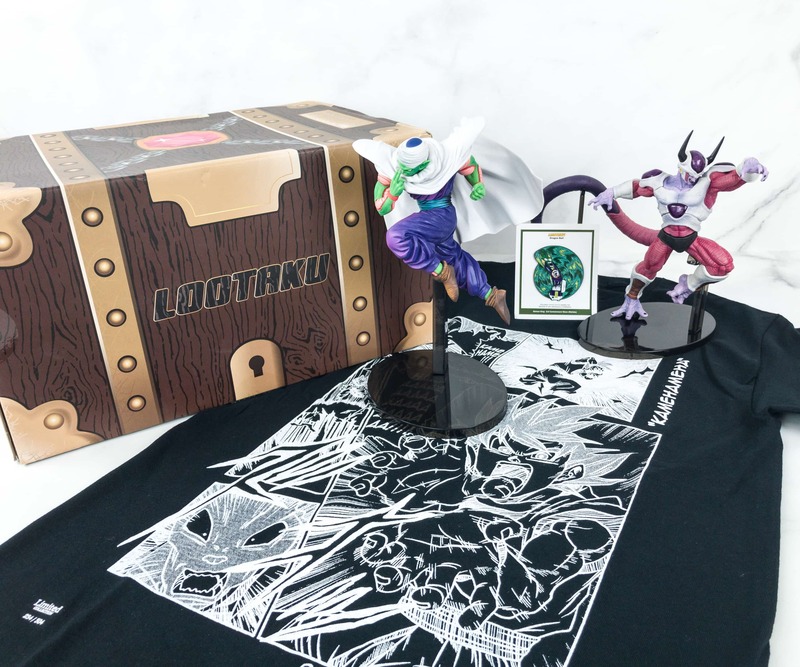 Here’s the review of the February 2019 box + coupon! The theme is COMRADES! Lootaku is a monthly anime geek subscription. Here’s the review of the January 2019 box + coupon! The theme is MUTATIONS! 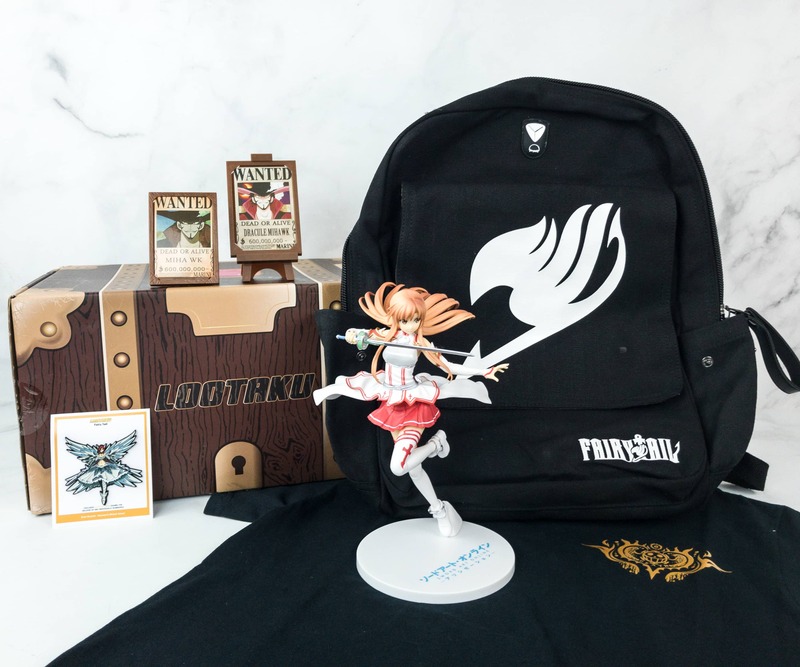 Lootaku is a monthly anime geek subscription. Here’s the review of the December 2018 box + coupon! The theme is UNLEASH – My Hero Academia & Tokyo Ghoul! Lootaku is a monthly anime geek subscription. Here’s the review of the November 2018 box + coupon! The theme is Fullmetal Alchemist! Lootaku is a monthly geek subscription. Here’s the review of the October 2018 box + coupon! The theme is Dragon Ball – Saiyan Legend! Lootaku is a monthly geek subscription. Here’s the review of the September 2018 box + coupon! The theme is Thousand Years of Friendship! It finally arrived! Here’s the review of the Asuka figure from Lootaku July 2018! Lootaku is a monthly geek subscription. Here’s the review of the August 2018 box! The theme is Go Beyond. PLUS ULTRA! Lootaku is a monthly geek subscription. Here’s the review of the July 2018 box! The theme is Re: Zero – Starting Life in Another World x Evangelion! Lootaku is a monthly geek subscription. Here’s the review of the June 2018 box! The theme is Code Geass x Girls Und Panzer! Lootaku is a monthly geek subscription packed with geek and gamer items. Here’s the review of the May 2018 box – the theme is MASTER, FATHER & SON! Lootaku is a monthly geek subscription packed with geek and gamer items. Here’s our review of the April 2018 box – the theme is Girls of ONE PIECE! Lootaku is a monthly geek subscription packed with geek and gamer items! Here’s our review of the March 2018 Of Gods & Monsters box featuring Dragon Ball Z! Lootaku February 2018 theme is all about the DC Universe. Harley Quinn, Batman, and more are featured this month! See the review + coupon code! Akame Ga Kill, Dragon Ball Z, Fate/Apocrypha, and more were featured in Lootaku January 2018 Glamorous Heroines! See the review + coupon code! Monkey D. Luffy, Nico Robin and more were featured in Lootaku December 2017 One Piece Box Part 2! See the review + coupon code! 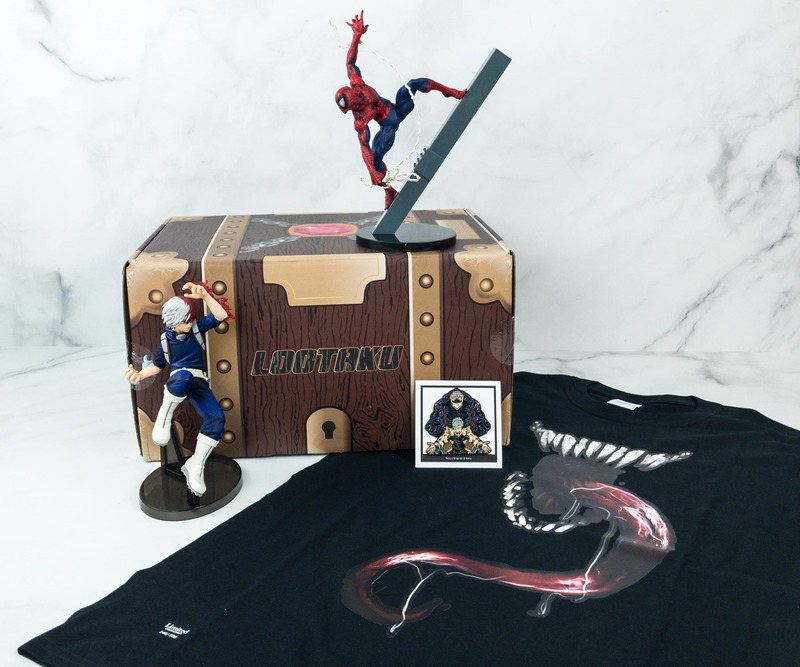 Spider-Man, Iron-Man and Ant-Man were featured in Lootaku November 2017 Marvel Civil War box. Read the review + grab coupon code! Sword Art Online, Gintama, and One Piece figures were featured in Lootaku October 2017 “Masters of the Sword” box. Read the review + grab coupon code! Dragon Ball and One Piece figures were featured in Lootaku September 2017 “Into The Fray” box. Read the review for details + grab coupon code! Lootaku August 2017 theme is ASSASSIN. We got items from Attack On Titan, Hunter x Hunter, and Naruto! See the review for details + coupon code! It is finally here! July 2017 is the Game of Thrones Lootaku! – see the review and grab coupon code to save on this epic collectibles subscription! Three figures + a light box were included in Lootaku June 2017! The theme was DRAGON BALL 30TH ANNIVERSARY PART 3 – see the review and grab coupon code! Lootaku May 2017 was all about One Piece! See Monkey D. Luffy and the gang – here’s the review + coupon code! Lootaku March 2017 was about the Warriors of the Future and included items from Sword Art Online! See the review + 5% off coupon code! 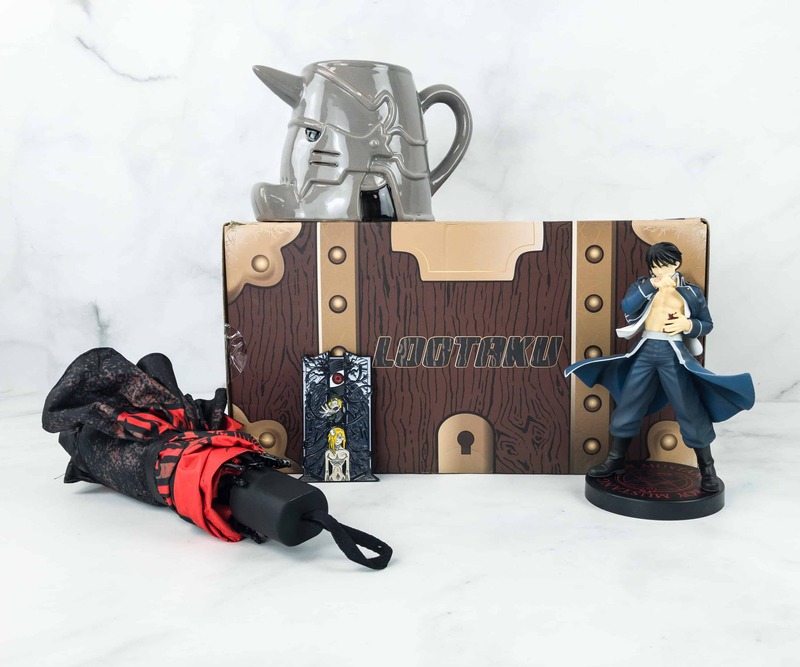 Lootaku February 2017 box featured items from Fullmetal Alchemist and Bleach! See the review + coupon code to save 5% on your subscription! 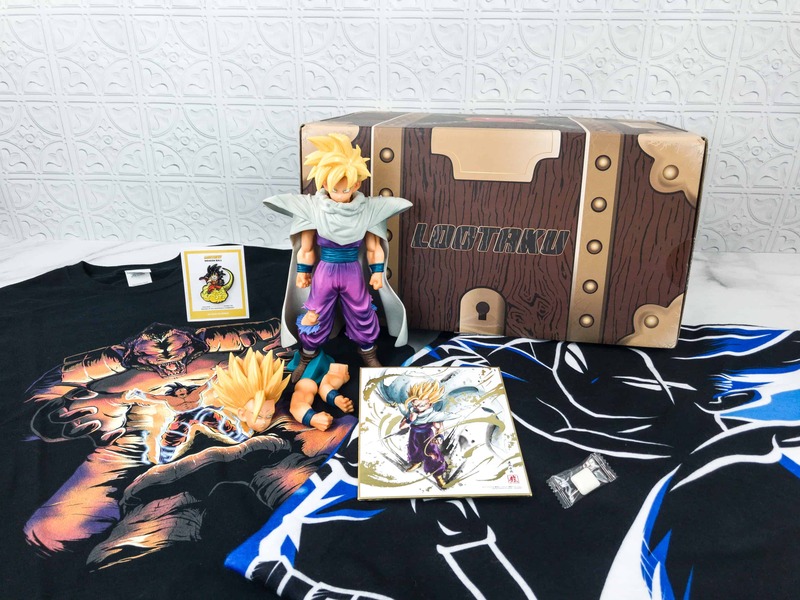 Lootaku December 2016 box was full of Dragon Ball collectibles! Check out the review for the individual items + coupon! The November 2016 Lootaku box was loaded with figures from the Street Fighter franchise! Check out our review! The October 2016 Lootaku box was Pokemon x Harry Potter with fun items from both fandoms! The September 2016 Lootaku box is Robomania Part II! See us gear up with full size Iron Man, Power Rangers, and multiple Gundam figures + Coupon! 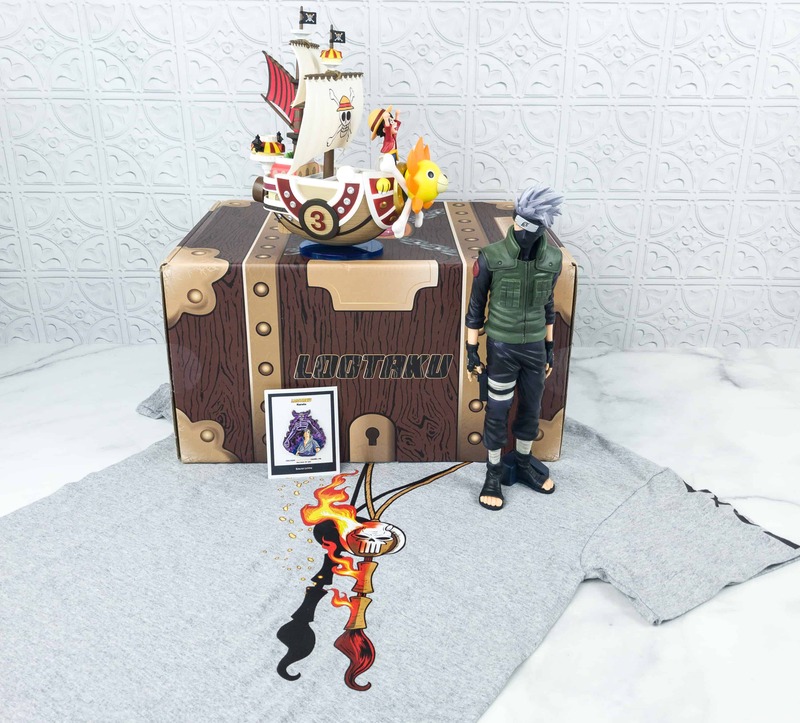 Lootaku August 2016 box – One year anniversary box with One Piece, Naruto, and more!